From the outside, it looks like Photobooth.net has been dormant all summer and fall, but behind the scenes, we’ve received a pretty constant stream of updates from our dedicated readers out there, for which we are eternally grateful. 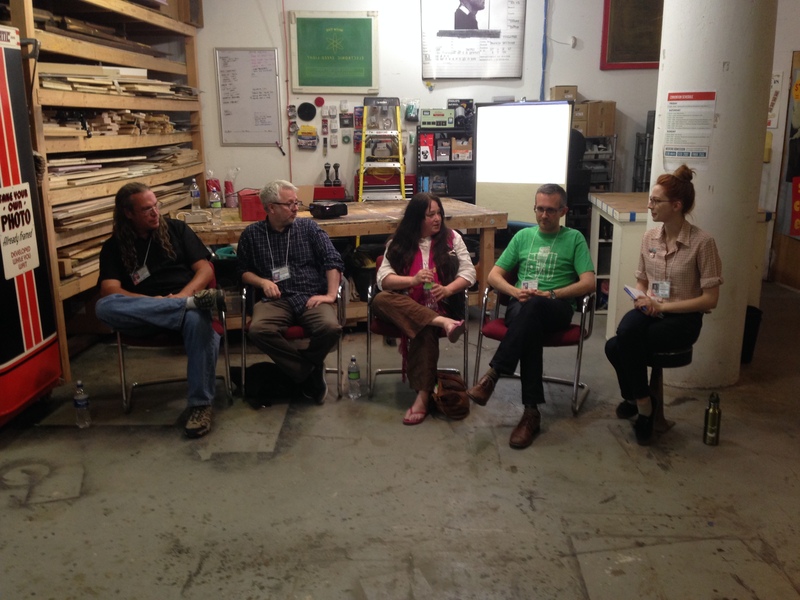 Since the last update six months ago, we’ve added no fewer than twenty new booth locations around the world, from the Pacific Northwest to Maryland and New York City, and from the South of France to Vienna and Amsterdam. Thanks to all who contributed, and apologies to all for the somewhat longer than normal amount of time it took to get your contributions up on the site. 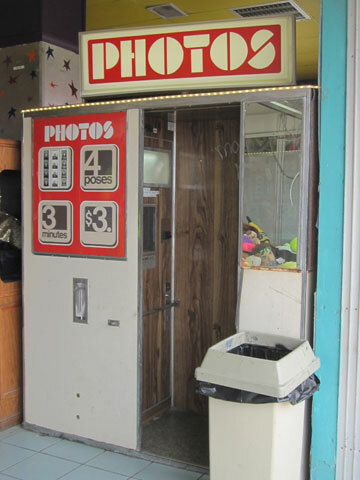 At right, we have photos of a number of booths new to the site. Click the links in the post or the photos to check out some of the entries. We’re looking forward to another year of photobooth news and notes, and we’ve got some changes and updates planned for 2016. Happy new year! We’re emerging from another long winter (and the continued unwanted attentions of pesky hackers) with a long‐gestating report on some updates over the last few months. 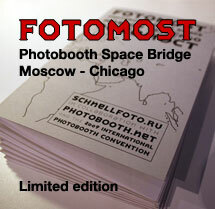 Thanks as always to our eyes and ears around the world for sending news of photobooths our way. First, we heard from Lucy in Zürich about a new booth there, just the second one, as far as we can tell, operating in that lovely city. Next, we heard from Stefan in Amsterdam, who reports that “We are growing!” which translates to a new home for their first booth, and the addition of a new booth to their roster. 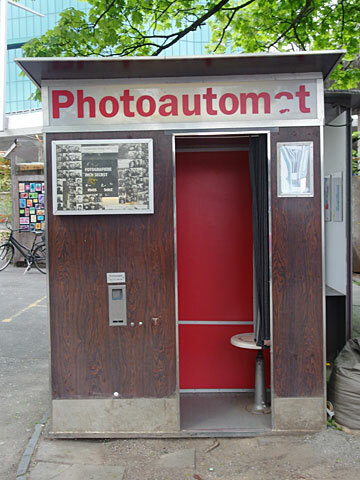 First, the booth once located at Lomography Amsterdam is now a few canals over (really, not just figuratively) at Hutspot, described on its website as “…a curator for an urbanized lifestyle. 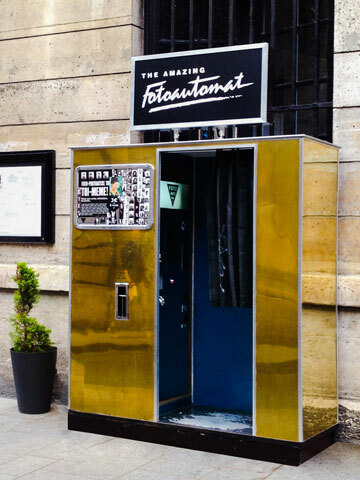 An initiative that brings all the good stuff together.” Sounds like a photobooth will fit right in there. 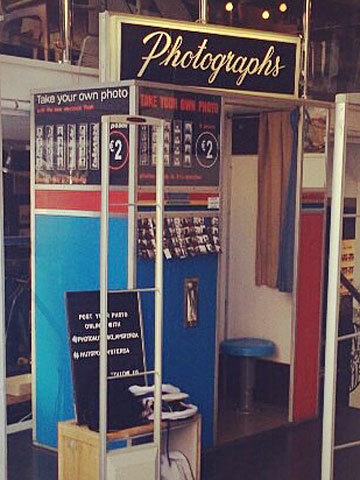 Check out Hutspot’s page for the photobooth on their website. 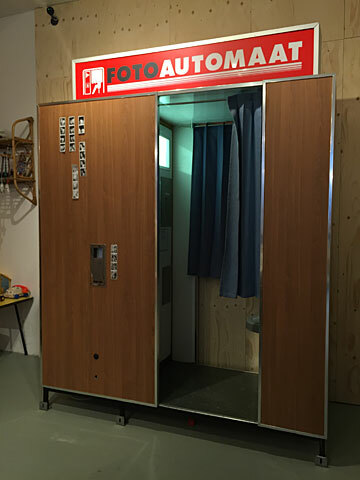 Second, Photoautomat Amsterdam have introduced a second black and white photochemical booth, located at Studio K, east of the city center. 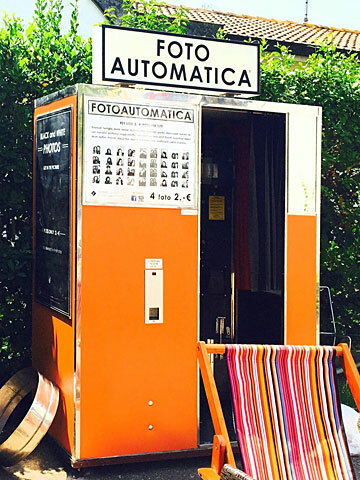 We applaud our European colleagues for continuing to keep the analog photobooth alive, and encourage anyone with updates or news about new locations to get in touch so we can continue to keep track of the current whereabouts of these photobooths. We have a few North American updates to report, as well. 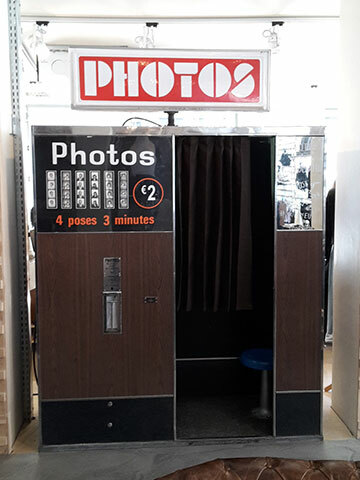 Thanks to Kelly for sending in a sample photo from a booth at the Avalon Mall in St. John’s, Newfoundland, one of the few color machines still operating in Canada. 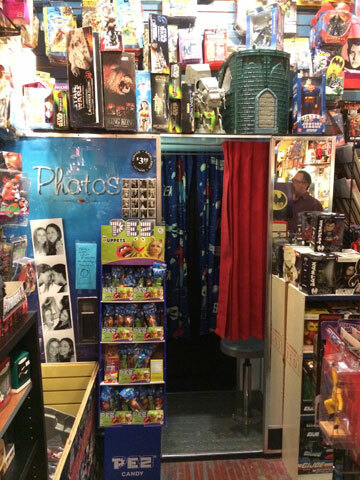 Thanks to Molly for letting us know about a new booth in Washington State, at a book and game store called Adventures Underground in Richland. 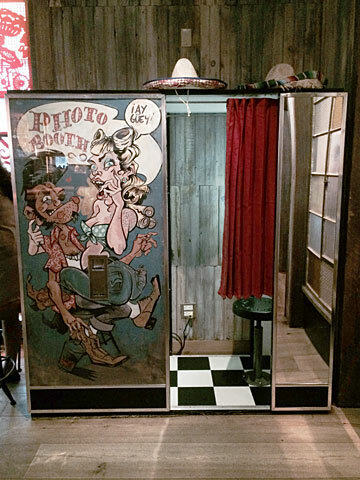 The Pacific Northwest continues to carry the banner for photobooths in the U.S.
We end today’s update with a few other notes on photobooths in media. First, on the cover of the Magic Numbers’ new album “Alias,” a few photobooth photos show up in a sea of portraits. Thanks to Les Matons for the tip. 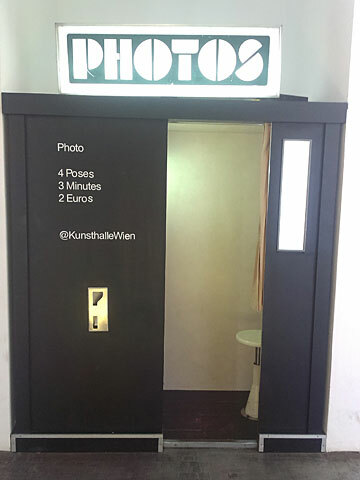 And finally, an ad for Swiss condoms, proving that the photobooth has many uses. 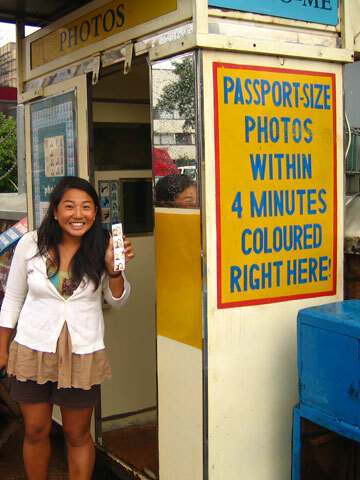 We first met Meags Fitzgerald at the 2012 Photobooth Convention in Venice, after corresponding via email for four years about photobooth locations around the world (she’s one of our most prolific contributors). At the convention, she told us about one of her many projects, a graphic novel about photobooths, which sounded like an intriguing idea. Two years later, the book is finished. It’s a remarkable accomplishment, and has been deservedly picking up rave reviews since its release. You can read reviews and listen to interviews with Meags about her book on her blog. 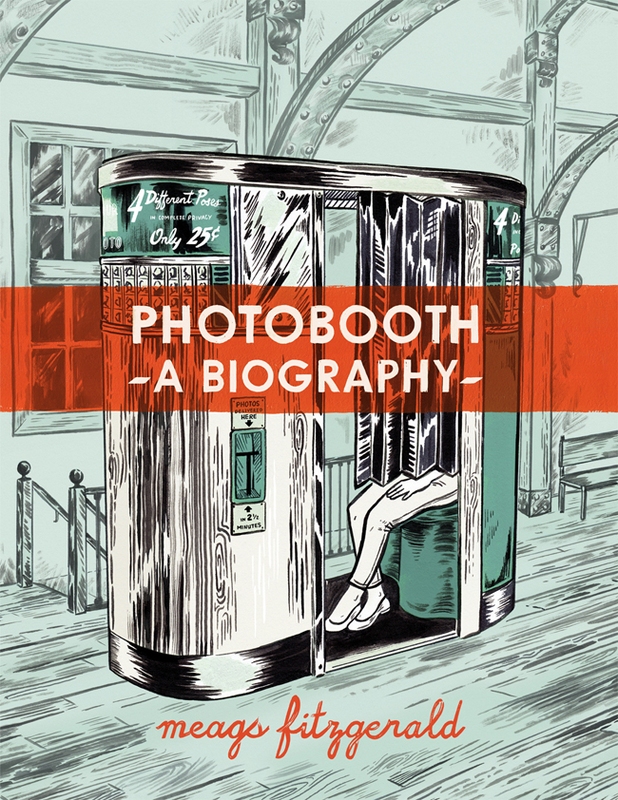 It might be a little late for Christmas, but for the photobooth lover in your life, we recommend you pick up a copy from Meags’ website. Fall is in the air, and it’s time to return after our post‐convention vacation. Over the past few months, we’ve been chipping steadily away at the big to‐do list of contributions, updates, and news from our readers around the world, and we’ve got more in the pipeline. Later this week, we’ll have a post gathering together all of the new additions we’ve made to the site since June, but for now, I’ll leave everyone with a shot of Milton Berle coughing in a photobooth mirror, from an ad for Vicks Forumula 44 cough medicine (hat tip to @classicshowbiz and Charles for the link).